RBI offers one of the most complete lines of boilers and water heaters available today. Known for its high quality, wide array of options for maximum application flexibility, RBI offers today’s engineers packaged solutions to fit virtually every specification. Models are available to fit any commercial application, from non-condensing to full condensing in an exceedingly wide range of 100,000 to 4,000,000 BTU. 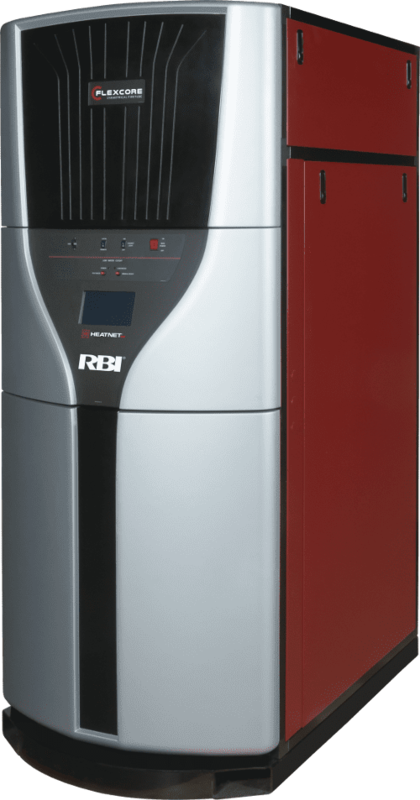 Many of RBI’s commercial water heaters are the only units on the market that come standard with bronze headers across the entire product line. Available as both boilers and heaters, RBI does not use cast iron headers with glass or epoxy lining on any of our water heaters to eliminate worry about rusty or contaminated domestic water caused by lining failures in cast iron headers. Our “higher standards” in design do not translate to “higher costs” for our customers. RBI high quality water heaters are among the most competitively priced units on the market.